Emirates reputation, as an airline, has always enjoyed strong customer trust, but yesterday's Boeing 777 crash has shown that even the biggest brands can face a potential PR crisis. How Emirates handles it is what separates the wheat from the chaff. The Emirates crash landing in Dubai resulted in 282 terrified passengers, the death of a firefighter and several hours of suspended flights – perhaps enough to put many customers off for life. In January 2016, Emirates was issued a perfect 7/7 ‘safety and product’ rating by the aviation review site, Airline Ratings – does Wednesday’s incident suggest that its health and safety standards are not up to scratch after all, or could the incident become the PR team’s opportunity to show the rest of the world how crisis comms should be done? Let’s not forget, a man lost his life. This is a serious situation, and the Emirates PR team needs to handle it with extreme care and sensitivity. 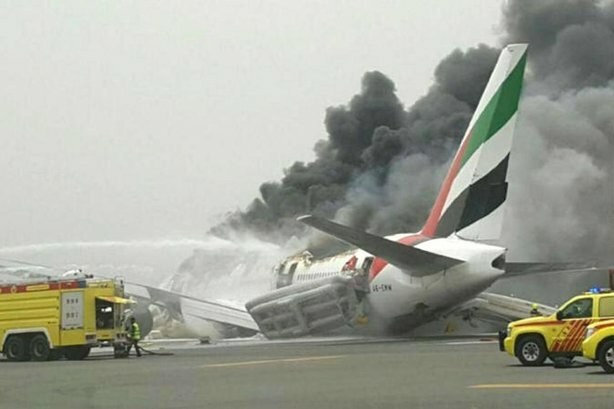 It seems to have started well: Emirates’ CEO Ahmed bin Saeed al-Maktoum reacted quickly, expressing condolences to the firefighter’s family, praising the crew’s handling of the situation, and reiterating the company’s outstanding health and safety record. He stated that the captain and first officer of the flight each had more than 7,000 hours of flying experience, that safety procedures were followed effectively, and that the crew were last to leave the plane. Here is a CEO showing his customers that they always come first. Inevitably, without an explanation of why the plane came to a crash landing, speculation – and, thus, the potential for damage to the Emirates brand – will grow. But if Emirates continues to keep the public up to speed with the investigation, and handles any negative fallout well, the incident could well become a perfect example of the brand protection that good crisis comms provides.